This page allows control of what happens to SPAM. Press the spam list settings button to open the spam list log settings. 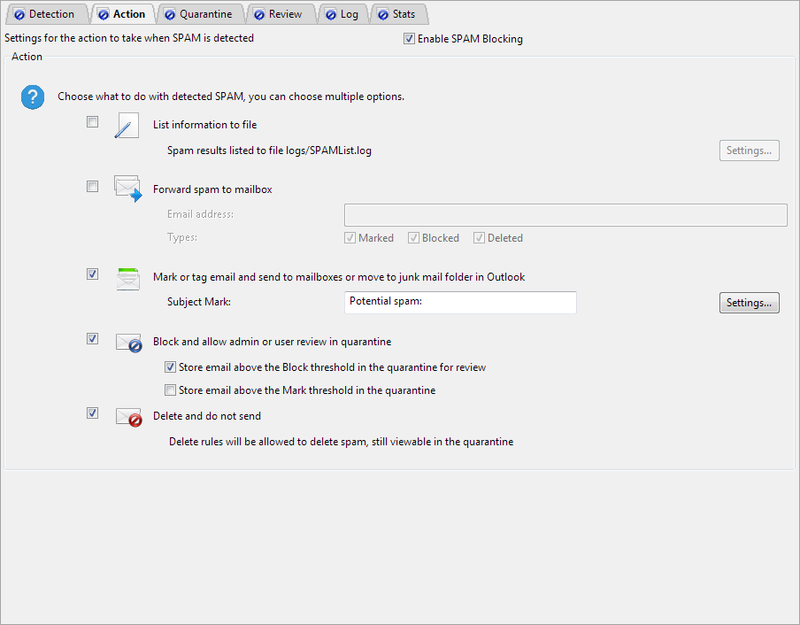 You can optionally forward blocked and/or deleted spam to a designated address.